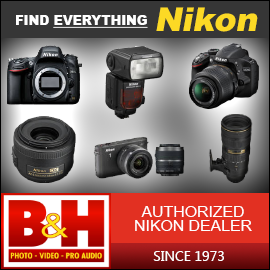 News from the photo industry of interest to Nikon users. Just a day after Nikon's announcement of a new compact Nikkor 18-300mm all-in-one lens for DX cameras, Tamron (a well-respected third-party lens manufacturer) is stepping in with its very own offering: the all-new Tamron 16-300mm f/3.5-6.3 Di II VC PZD Macro. Tamron's version of this handy superzoom seems very similar optically, with a construction of 16 elements in 12 groups and with 7 rounded aperture blades. Like the Nikkor, the Tamron is stabilized and features silent autofocus, and it is designed with compactness in mind. Tamron has equipped the 16-300mm with a "moisture resistant" weather-sealed design, making it very versatile for single-lens shooters. The Nikkor lens does appear to have a rubber gasket around the lens mount, though the press release did not comment on its weather sealing. There are a few differences between the two lenses, most of which seem to give the Tamron lens an advantage. First of all, it's considerably cheaper, launching at just $629 compared to the Nikkor's $899 price tag. The Tamron also has a distance scale window, which is unusual in a superzoom. Finally, and arguably most importantly, the 16mm focal length offers a field of view that's wider by 6 degrees. But which lens is better as far as image quality goes? Well, we're going to have to wait until these lenses are out to make hands-on verdict. 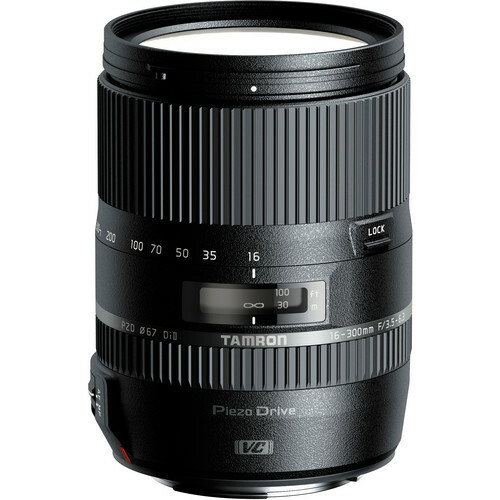 The 16-300mm is expected to start shipping in the US in mid-May. View the full specifications in our lens database, or pre-order the lens at B&H Photo. The lens is also available for Canon and Sony mounts. 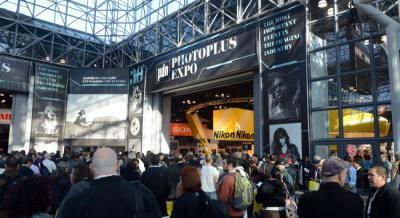 Nikon is currently exhibiting at the Photo Plus tradeshow in New York City, an anual event that's the largest photo industry exposition in the US. This year, Photo Plus will run until 4pm on Saturday, October 26th in the Javits Convention Center. It's free to attend as long as you register ahead of time! Today, we stopped by the Nikon booth at the show to bring you photos of some of the new products that are on display! Nikon's booth can clearly been from the main entrance, and it dominates the show floor together with Canon and Sony. Read on for a picture tour of the exhibit!